Amongst Chinese Grandmasters there exists a tradition of ancient healing secrets that have been handed down through generations for nearly two thousand years. Grandmaster William Cheung is the honoured custodian of more than five hundred ancient Chinese medical scrolls containing secret formulae that have successfully treated many different illnesses and injuries. Best of all, with this program, comes a unique herbal formula that will allow the practitioner to train without fear of injury or damage. The special formula heals injury and removes bruising and swelling straight away, so that the shins remain normal in appearance and to the touch. 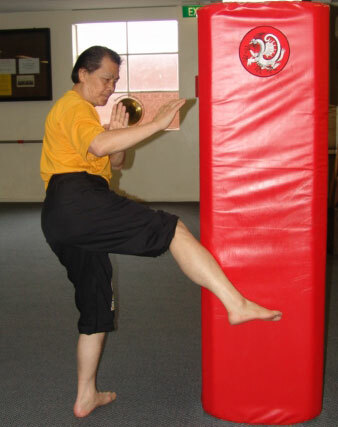 With Grandmaster Cheung's 100-Day Iron Shin Training Program, you are assured of the correct and safe way to do Iron ShinTraining.